Sequestration threatens to eliminate thousands of homeland security jobs on January 2, 2012, including about 8,700 border-related jobs. But President Obama is not working to break the congressional budgetary logjam, instead issuing an executive order on October 26 authorizing appropriations for a new "Homeland Security Partnership Council". Yes, indeed, the federal government will be coming to your community soon to identify issue areas and partnership nominees for this council. If it is anything like the Obama administration's White House meetings on immigration, however, such visits will be invitation-only for friends and supporters of the Obama administration. The broad and vague scope of the executive order, from the internal nomination process to the scope of the mission to those tapped as "partners" at the state and local level, could result in an undue amount of cronyism, the type that breeds inefficiency and a potential for corruption. It includes no definition of "homeland security". Meaning that the council — derived from a group of nominees representing each executive branch department in the federal government — can broaden or narrow the definition of homeland security to whatever it deems appropriate. Why does this matter? It will allow the council to influence existing law on homeland security, including every element of federal, state, and local government that can be even tangentially connected to "homeland security". The possibilities are endless. 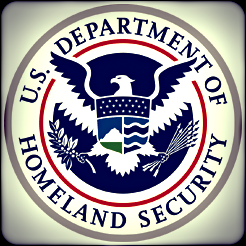 It does not place the Department of Homeland Security (DHS) in the lead, but the White House. In fact, the DHS — the home of subject matter experts on building state and local information-sharing partners for the past eight years — is only given one seat at the table, equal to the departments of Veteran Affairs and Education, for example. Is this another manifestation of the White House not only concentrating power at the federal level, but at the White House and away from DHS? It reflects a double-edged sword for state and local partners, who may feel compelled to be involved to be heard, but now could have a direct back channel route for phone calls from the White House kindly requesting that, for example, a proposition prohibiting illegal aliens a driver's license be rallied against or, better yet, a verbal dressing down as to what will happen if that state or local partner refuses to follow a White House request. No written product is required in this order. No annual report, simply "an annual meeting to exchange key findings, progress, and best practices". How will this council be held accountable to the American people? And how will these "partnerships" benefit our security? And lastly, how do the findings of this council affect current relationships, such those created in both Texas and Arizona to deal with the vacuum of federal activity to secure the border? Another watchful eye? Downright interference? Nothing at all?